Industrial centrifuge designed for drying chips and reclaiming fluid. Heavy-duty chip and fluid separation system for creating dry chips and reclaiming up to 99% of cutting fluid using more than 600G’s of centrifugal force. 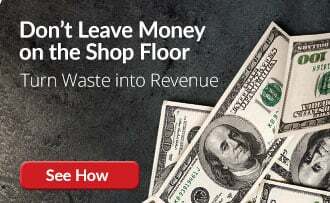 Increases scrap value and significantly reduces haul-away costs. PRAB Wringers help meet Federal EPA and ISO 14001 regulations and strict environmental compliance. PRAB Systems are built tough to withstand the harsh conditions and materials moved in the metalworking industry. 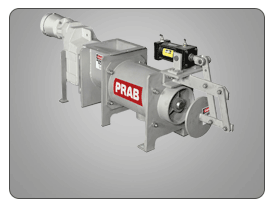 The PRAB chip wringer uses more than 600 g-force to reclaim up to 98% of valuable coolant or cutting oils from aluminum, brass, cast iron, steel, stainless steel and other metal chips. 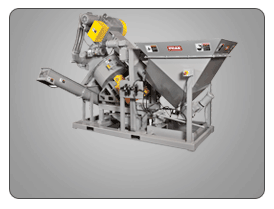 The Pneumatic/Air Discharge (AD Series) Chip Wringer is a scrap collection system available in 24” and 40” screen diameters. This scrap metal equipment is capable of pneumatically propelling chips up to 100 ft (30 m). Models include 24AD and 40AD. Conventional gravity discharge (CD Series) models are available in 16”, 24” and 40” screen diameters (models 16CD, 24CD and 40CD). The conventional gravity discharge (CD) model of PRAB Wringers/Centrifuges utilizes an exclusive reversing feature to extend service life and minimize maintenance. When service is needed for wear items (such as the screen and bowl) they are easy to access and replace. Liner has an exclusive “indexing feature” which extends the service life of both the liner and screen assemblies. The Model 16CD Chip Wringer is a scrap metal equipment component that is part of the E-Series Chip Processing System. 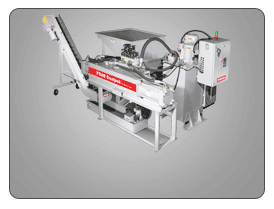 This metal chip separator is built to process low to medium volumes of wet machining scrap. 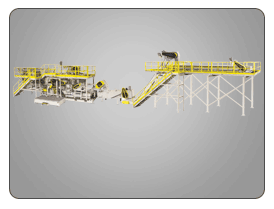 *Throughput dependent on incoming bulk density. *Stated throughput is without an integral separator (Model R). The rotating bowl of the chip wringer creates enough centrifugal force for solid/liquid separation. Fluids are then extracted through the bar screen and stored for reuse.